Congratulations to Facebook's Monique Wong. 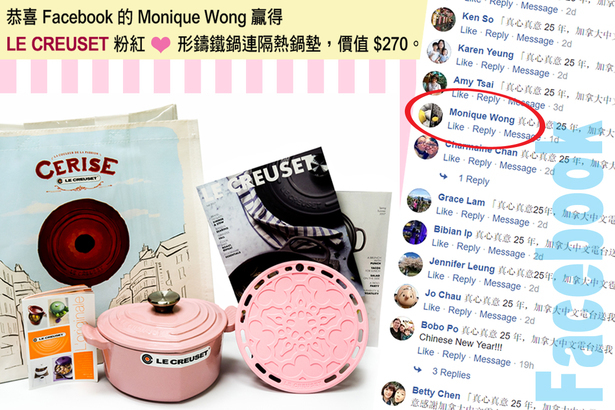 She is the lucky winner taking home the LE CREUSET 2 qt. Heart Shaped Casserole in Chiffon Pink and a French Trivet, total value at $270.